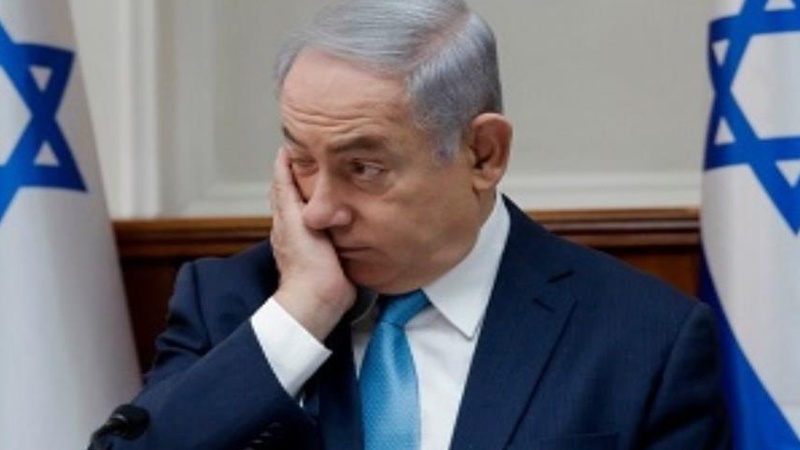 Israeli Prime Minister Benjamin Netanyahu has threatened that the regime will hit Iranian targets “anywhere in Syria,” where Iranian military advisors have been giving effective assistance to the national army in its battles against Tel Aviv-backed terror groups. “We will continue to act against [Tehran’s] intention to establish a military presence in Syria across from us, not just across from the Golan Heights but anywhere in Syria,” he said on Wednesday. Iran has been offering advisory military support to Syria at the request of the Damascus government, enabling its army to speed up its gains on various fronts against the terror groups. The regime of Israel has frequently attacked military targets inside Syria in what is widely viewed as an attempt to prop up the terrorist groups that have been suffering heavy defeats at the hands of Syrian soldiers. There has been a hike in Israeli strikes significant since the collapse late last year of the Daesh terror group, something that significantly demoralized the other Takfiri militant groups operating against Damascus. On April 9, an Israeli airstrike against the T-4 airbase in Syria’s Homs Province martyred more than a dozen people, including seven Iranian military advisors. Iran has pledged that it would punish Israel for the deadly air raid. Israeli regime has also been providing weapons to anti-Damascus militants as well as medical treatment to the Takfiri elements wounded in Syria. In the course of their recent advances in terrorist-held areas, Syrian government forces have discovered considerable amounts of Israeli-made munitions, including chemical warfare, digital equipment and drugs. Damascus has repeatedly written to the UN in condemnation of Israeli acts of aggression, calling on the world body and its Security Council to take firm measures against the regime. Elsewhere in his remarks, Netanyahu announced that he will travel to Germany, France and Britain next week to meet with European leaders on Iran’s presence in Syria and the 2015 nuclear deal.